Since last week, the poker room of Borgata Hotel Casino & Spa of Atlantic City was in an excitement, with the holding of the World Poker Tour. 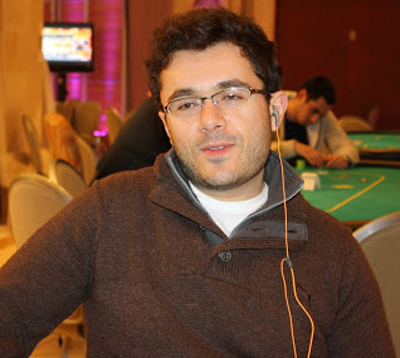 The Main Event of the Borgata Poker Open gathered 1,189 participants. This event at $3,500 buy-in was marked by the participation of numerous current major players of poker such as David Sands, Paul Volpe, Cong Pham, Phil Laak, Scotty Nguyen, Will Failla, Jonathan Little, Aaron Massey or Jake Schwartz, and also by talented women players like Kara Scott and Vanessa Selbst to bring a glamorous touch to the competition. After a week of meeting, the final table was held during last week with the 6 survivors of the Day 4: David Randall, Vanessa Selbst, Jeremy Kottler, Cong Pham, Anthony Zinno and Eric Fields. Anthony Zinno won the final table and deprived subsequently Vanessa Selbst of a first title in WPT. The American Anthony Zinno offers himself the first victory of his career, accompanied with a gain of $825,099, among which a ticket of $25,000 for the great final of the Season XII of the World Poker Tour, which will take place in the same casino in 2014. Runner-up of this poker tournament, the only woman of the final table, Vanessa Selbst, settled with $492,569 for a title that she just missed. The chipleader of the final table, Cong Pham, fails in the 3rd place with $301,225, followed by Jeremy Kottler ($251,968), David Randall ($208,394) and Eric Fields ($168,610). For its next step, the circuit will cross the Atlantic Ocean for the Grand Prix of Paris, from October 25th to 30th of this year. This page has been viewed 430 times. All trademarks and copyrighted information contained herein are the property of their respective owners.